Burden is an awesome RPG adventure game from Black Book Development. Choose diseases instead of skills. Survive in the world of limited resources and constant danger. 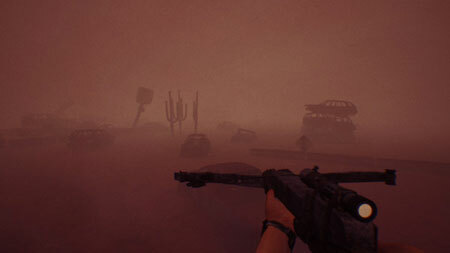 The game is based on the favorite mysterious post-apocalyptic universes, and it will throw you right into the very center of one of such worlds full of the unexplored and uncharted, dangerous and exciting. In Burden, every day lived is not just an adventure that can lead to any outcome, but it’s you challenging the fate. You’ll face everything, from enriching yourself with prey and finding the mysterious artifacts to getting a life-long trauma that will complicate your existence in this overwhelming world. You get diseases, try to get used to them, and learn how to survive with these flaws. Weak bones or bladder, blood pressure or trouble breathing. Choose your challenge. Delve into the world of sand, fractions and unusual post-apocalyptic fauna. Search and explore, create weapons, fight for life and resources. A wide variety of melee weapons will help you with this. And if you find a gun, then you are very lucky. If you get stuck in the game, check out the video walkthrough and gameplay for the game. This entry was posted in PC Games, Walkthrough and tagged Burden Cheats, Burden Game, Burden Gameplay, Burden Guide, Burden Hints, Burden Review, Burden Solutions, Burden Strategy, Burden Tips, Burden Walkthrough by Marvin. Bookmark the permalink.